Valentine’s day is coming up and Valencia is a surprisingly romantic place to be. If you’re looking for the perfect place to impress someone special on V-day or any other, we’ve got you covered. From swanky and sophisticated to cosy and low-key, here are our favourite romantic date-night restaurants in Valencia, Spain. If you’re looking for the quintessential romantic Italian restaurant, this is your place. Without laying the charm on too thick, it has a cosy dining room, reliably good service and a menu stuffed with perfectly executed Italian classics. Don’t forget the desserts, which are perfect for sharing, and great wine to match. 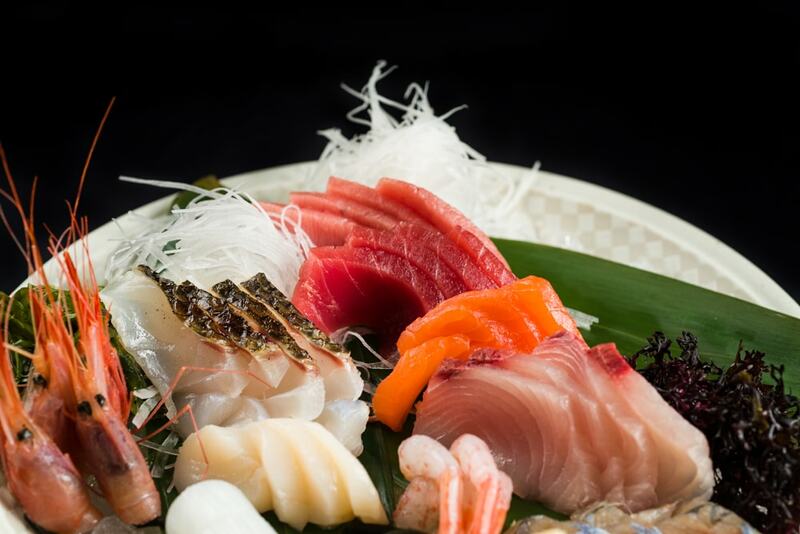 If your date is a serious foodie who loves Asian cuisine, you’ll impress by booking a table at the stunning Komori. Part of the Westin Hotel, it offers an exceptionally high standard of food and service in stylish surroundings. It has a price tag to match, but this is one treat worth splashing out on. Sushi lovers will want to try dishes like their flavour-packed butter fish with white truffle, or you could go all out with their tasting menu. For a cosy yet low-key spot with great food that won’t break the bank, try local favourite La Mirona. The modern Valencian menu is sure to impress, with innovative dishes created with fresh local ingredients packed with flavour. Relaxed service, subtle yet romantic décor and a touch of candlelight creates the perfect atmosphere. The roof terrace at Le Petit Bistro, Valencia. What could be more romantic than watching the sun go down over the Old Town rooftops while enjoying dinner al fresco? You can do exactly that at this elegant rooftop terrace in the heart of the city. It’s so close to the cathedral it looks like you could almost touch its dome and tower, El Miguelete. The varied menu, including small plates and main courses with an international flavour, is not as expensive as you might expect in this stunning location. It’s also the perfect spot for a relaxed drink or two. 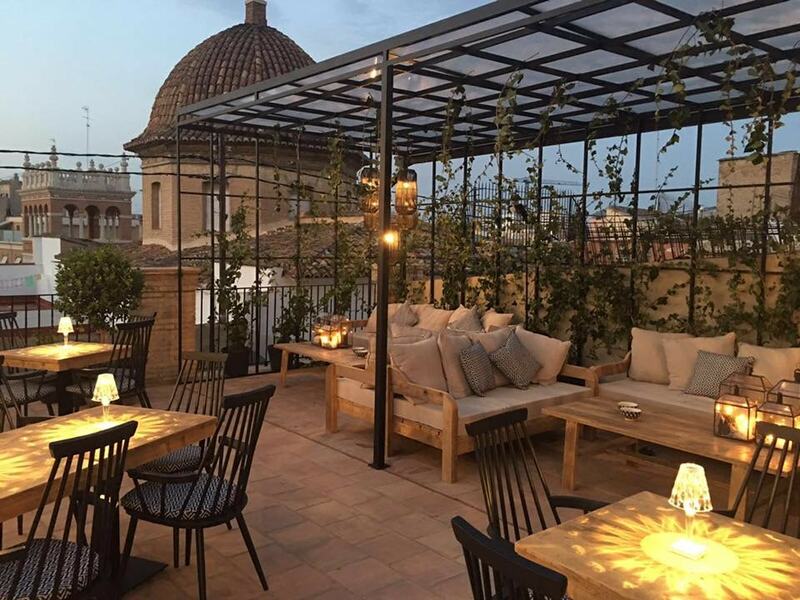 The roof terrace at Le Petit Bistro, Valencia. | Image courtesy of Le Petit Bistro. With amazing views and even better food, Vertical sets the tone for a special evening. This modern Valencian restaurant overlooks the stunning City of Arts and Sciences, one of the city’s most famous symbols, from its position in the tower over the modern Aqua Shopping Centre. There’s limited seating by the windows, so do book ahead and ask for a table with a view. The interior of Sucede complete with historic stone walls. One for the history lovers. 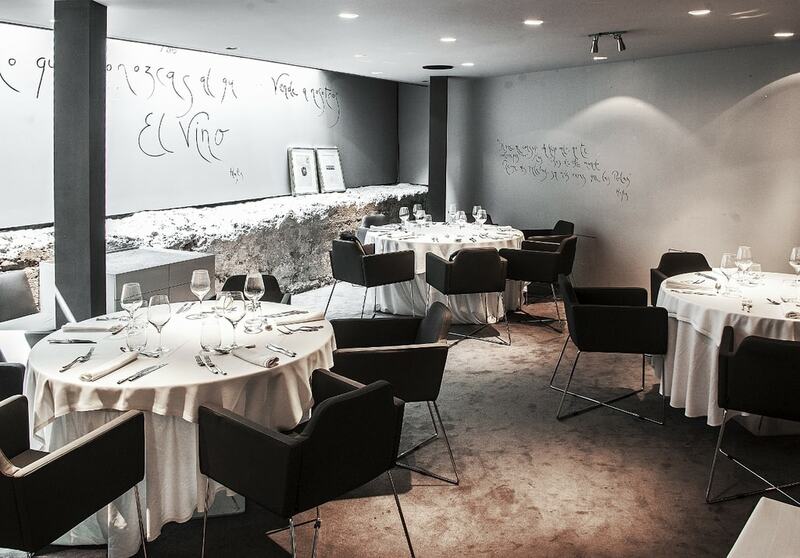 If you’re looking for an incredible atmosphere and exciting gastronomy, you can’t do better than Sucede, one of the six restaurants in Valencia to boast a Michelin star. The striking, elegant dining room is decked out in minimal style, setting off the original stone walls and historic features in the basement of a 12th-century building in the city’s Old Town. There’s even a set menu taking diners on a gastronomic tour through the city’s history. If you’re looking for a romantic steak restaurant, there’s no cosier setting than this Valencian classic to enjoy a succulent steak and a bottle of Rioja. Elegant and sophisticated, this restaurant is sure to help you make a good impression. It’s just a short walk from the Palau de la Musica if you’re thinking of catching a classical music concert, making the ultimate romantic night out.